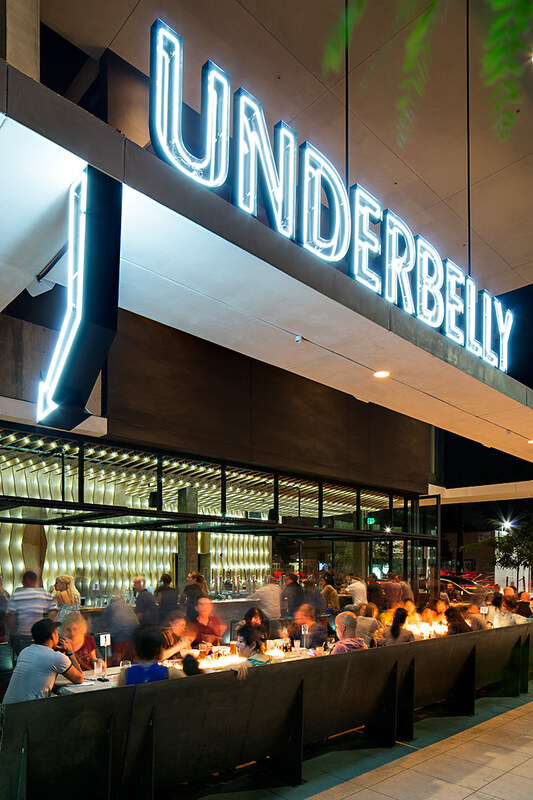 Underbelly restaurant. Exterior photo shot at dusk by architectural photographer Zack Benson. All rights reserved ©.